Older brothers with little sister in front of stone ruin background. 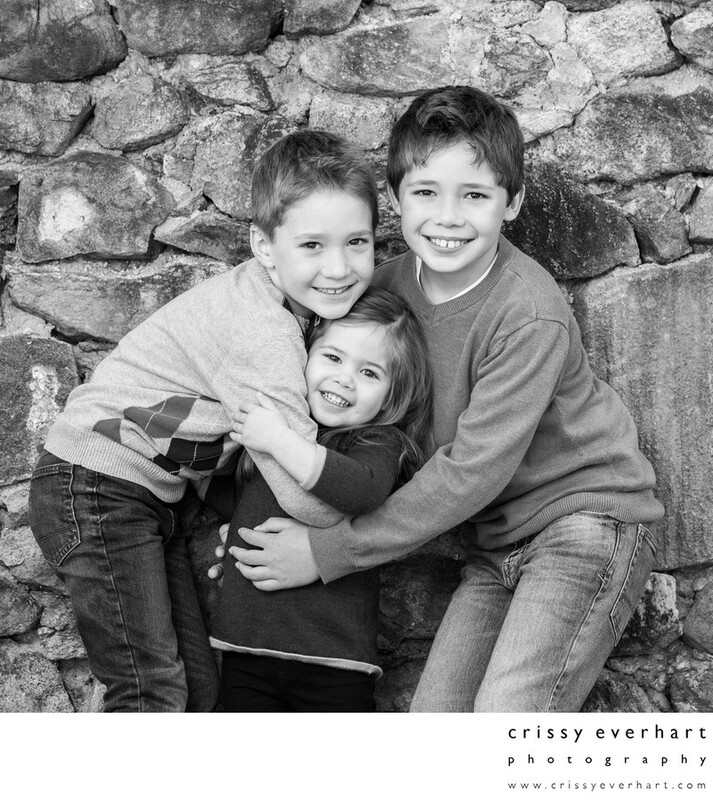 The big brothers hug their two year old sister between them, and all three smile at the camera. I love documenting the bond and love between siblings! Even if it is in between the brawls and arguments.